This pasta dish is a super fresh and easy summertime dinner to add to your repertoire. I love using whatever vegetables are in season at my local supermarket to customize this recipe each time I make it. Start by cooking your pasta to an al dente texture, following the instructions on the box. Strain and set aside. 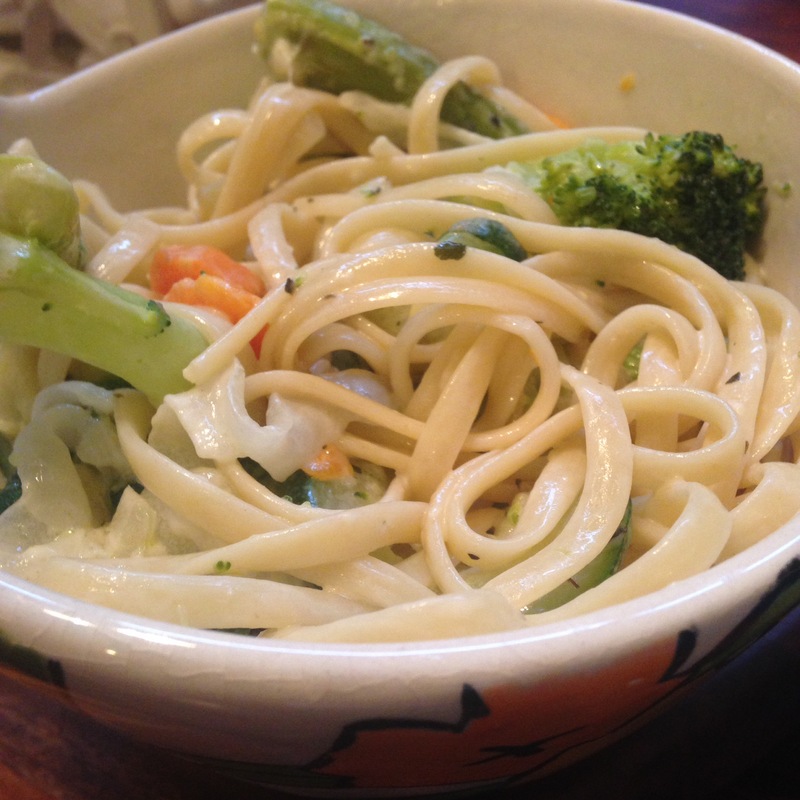 In a small saucepan, melt 1 tbsp of the butter and add your carrot, broccoli, and asparagus. Stir and cook for about 5 minutes. Add in 1/2 cup of water and cover. Let cook until water has mostly evaporated. Remove and set aside. Add the remaining butter, along with the garlic and onion to the pan. Cook until onions are just turning translucent. Then, add in the zucchini and stir frequently until tender. Add the chicken stock to the pot. Simmer for about 3 minutes. Then, add in the cream and Parmesan, along with the herbs. Bring to a boil and let simmer for 4 minutes. 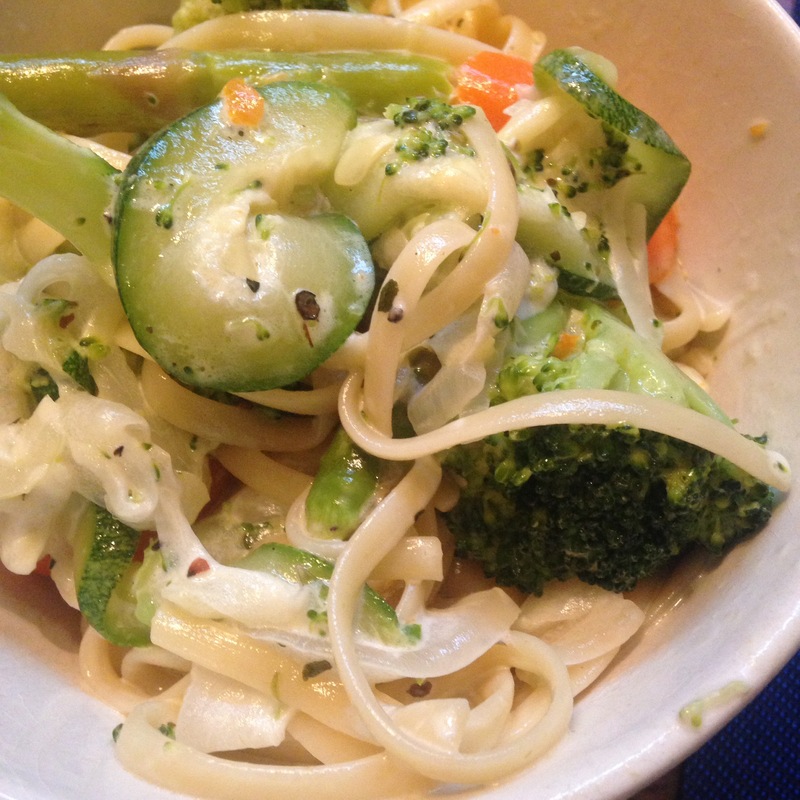 Then, add your pasta and other cooked vegetables. Toss and let sit until warmed through. Then enjoy! Salt and pepper to taste.